The big reveal is here, my Spinning Wheels Throw Quilt is finished! This project was a breeze by cutting all these lovely Riley Blake Fabrics on my Cricut Maker. The big reveal is here! I am pleased to have finished this beautiful project! 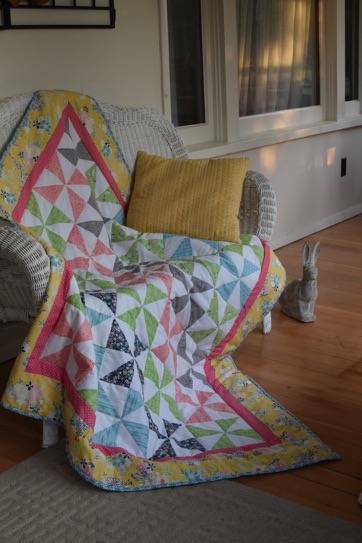 This Spinning Wheels throw quilt is made from a kit by Cricut and Riley Blake Designs. 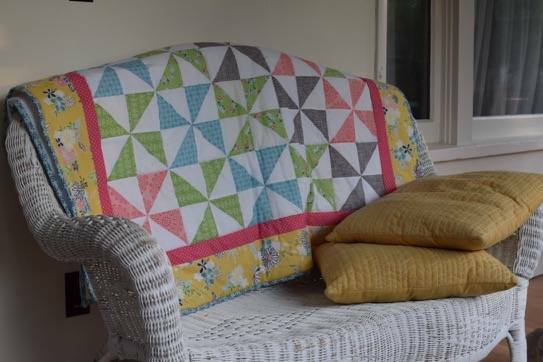 I can’t wait to cuddle with it on cool evenings out on the porch! This post is sponsored by Riley Blake Designs and Cricut. Any opinions given are completely my own. 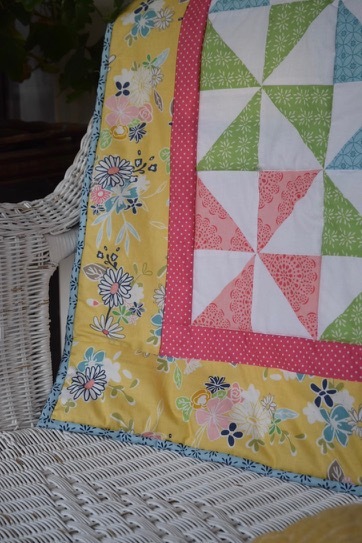 This project is made from 4″ quilt blocks that are assembled into the Spinning Wheels design. The great thing about it is that the Cricut cuts all those little pieces so you don’t have to. You can read more about that in my original post. Cut the pieces and then it’s a step by step process of sewing them together two at a time. Each Spinning Wheels block has 4 small blocks to make the larger blocks. If you have done any quilting before, you know how much easier it is to quilt when all the pieces are cut exactly the same. 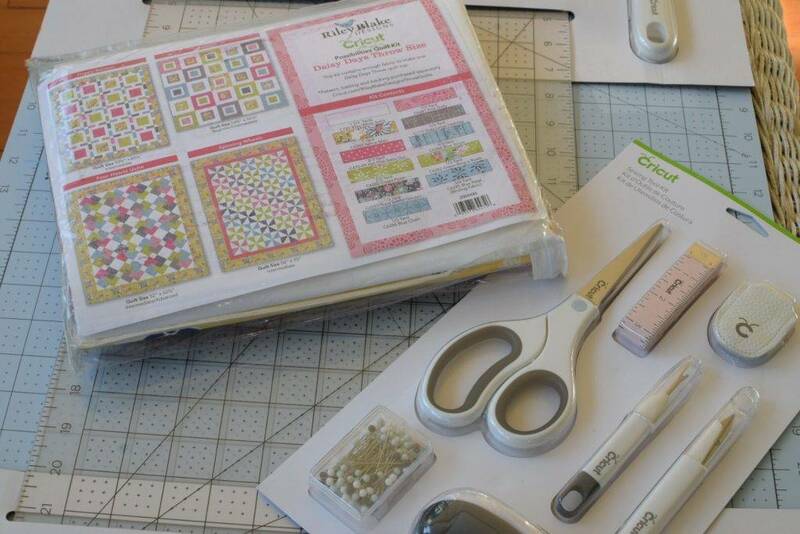 The Cricut Maker is such a great tool for quilting because all of the pieces are machine cut, they fit together with out a lot of fussing and trimming. Honestly, I would have never attempted this Spinning Wheels Quilt pattern on my own because I know how time consuming and physically draining it would be to cut all those little pieces by hand. With the Cricut cutting the pieces, the entire process is so much more enjoyable! After the blocks are assembled the outside frame or boarders are added. Once it’s put together with the other layers, it’s time to quilt and then bind it. I enjoy hand stitching the outside boarder in place, it’s a great way to relax while watching tv in the evening. 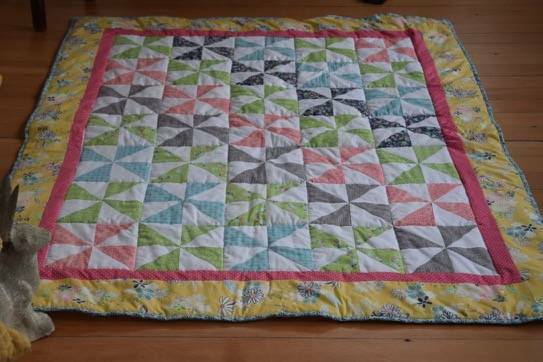 The outside quilt boarder is hand finished. 1. Assemble the quilt blocks in small sections. Make all 4″ blocks, then go on to the larger ones. 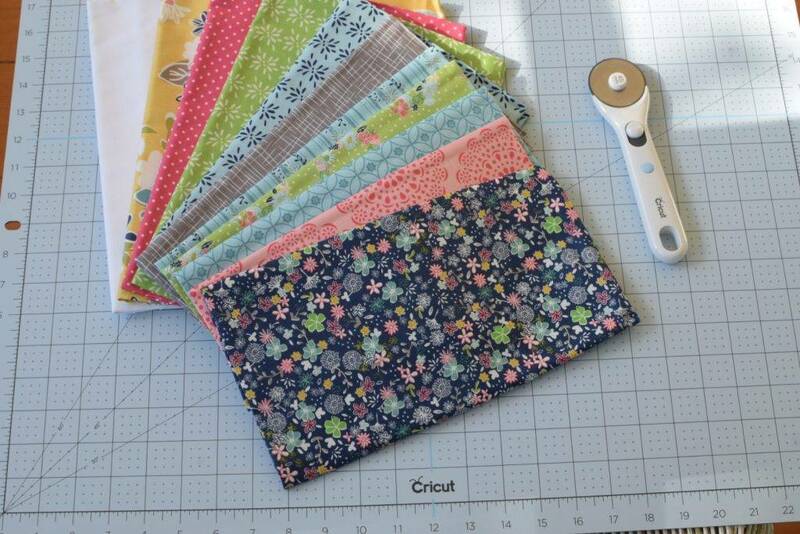 If you struggle matching the seams use small strips of fusible tape to hold them in place. 2. Press seam allowances toward the darker fabric on each square. This way the seam allowance doesn’t show behind the white pieces. 3. Starch the large blocks while pressing before assembling the rows. This makes joining seams easier and more accurate and will help the quilting process to go smoother. 4. Use a spray basting adhesive or large safety pins to make the quilt “sandwich” with the backing fabric and fiberfill before quilting. 5. Channel Quilt at 8″ intervals (stitching in the ditch of the seams) with a longer single needle stitch and a walking foot on your machine. I cover many more tips in my videos, so be sure to check them out! Remember what the kit looked like before? Such pretty fabrics! 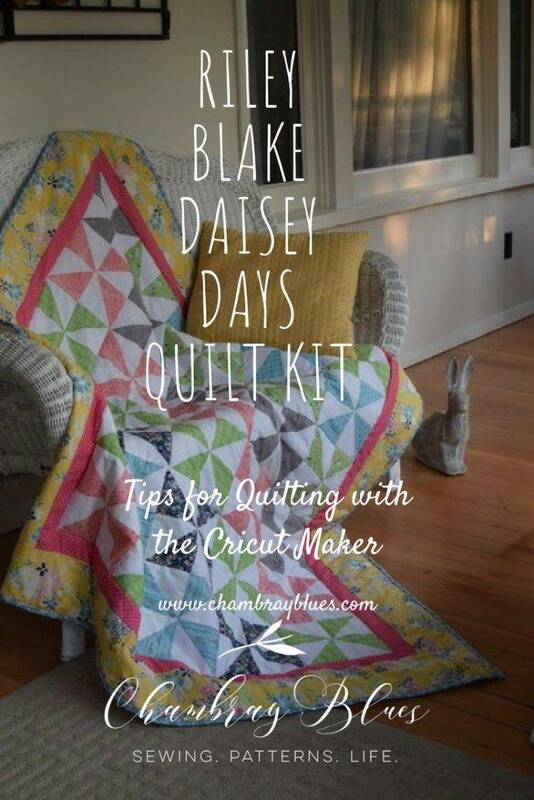 This Daisey Days quilt kit can make any one of several different designs as you can see on the package. Some of my blogging friends made the other designs with the same kit! Be sure to check out their projects as well! Thanks to Cricut and Riley Blake Designs for sponsoring this post! Here are some other fun things you can make with a Cricut! If you are a blogger and are interested in Cricut’s affiliate program, click here!